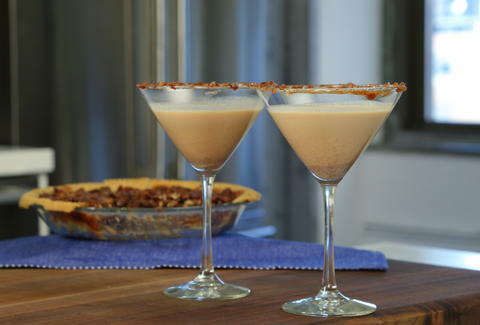 Since pecan pie is inarguably the best pie, blending it up with some milk, lots of bourbon, Grand Marnier, and spices would make it the best pie-flavored cocktail, right? Yeah, that logic checks out. Thank you Chase the Flavors for this gem.